We have the original spares for your printer issues. We are having ready spares this will help to providing quick service to your printer at minimum time. We are using only genuine components to all our customers. We provide doorstep service in around Chennai. We do General Printer Service, Door step service, On call service, Cartridge Refilling Service, Printer Toner Refilling Service, Printer Display Problems and Wi-Fi Problems, Cartridge Jam Problem, Power issues, Button Problems.We provide onsite service for all printers. We provide AMC service for company also. We are also selling all types of printer in our showroom. Our service center also provides buyback and exchange on all types of model printers.We provide onsite service for all printers. We provide AMC service for company also. We are also selling all types of printer in our showroom. Our service center also provides buyback and exchange on all types of model printers. We have the original spares for your printer issues. We are having ready spares this will help to providing quick service to your printer at minimum time. We are using only genuine components to all our customers. We provide doorstep service in around Chennai. We do General Printer Service, Door step service, On call service, Cartridge Refilling Service, Printer Toner Refilling Service, Printer Display Problems and Wi-Fi Problems, Cartridge Jam Problem, Power issues, Button Problems.We provide onsite service for all printers. We provide AMC service for company also. We are also selling all types of printer in our showroom. 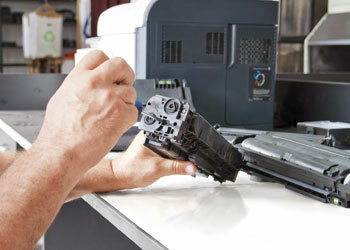 Our service center also provides buyback and exchange on all types of model printers. We provide onsite service for all printers. We provide AMC service for company also. We are also selling all types of printer in our showroom.